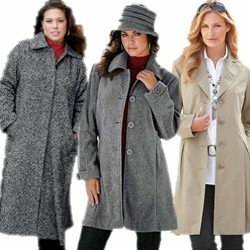 Plus Size Motorcycle Jackets are very trendy right now and are available in a wide variety of styles and colors. They are fun and trendy for casual wear. Traditionally black leather, now "Moto Jacket" styling is also available in fleece and other fabrics and almost every color of the rainbow. You love the feel of the road but hate shopping for plus size motorcycle jackets. It’s true that for years the only way for a woman to find a large enough motorcycle jacket was by going to the men’s section of the store. Even that wasn’t the perfect solution because more often than not they simply didn’t fit right. No more! Fashion designers have finally recognized the amazing market that plus size clothing represents, and that includes for the bikers. All manner of manufacturers including Harley Davidson, River Road, Power Trip and Star offer a variety of plus size motorcycle jackets. 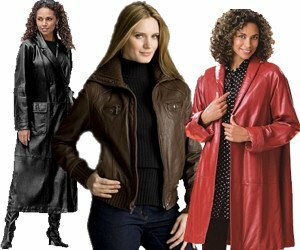 Harley Davidson perhaps offers the greatest selection with jackets going up to size 26! So how do you go about shopping for the best plus size moto jackets? The first thing to keep in mind is that your jacket needs to be functional. You can’t just toss on a sweater and hop on your bike. Safety features are very important. You don’t have the protection that a car affords, so don’t skimp on your jacket. The best motorcycle jackets typically have armor in the shoulders, elbows and back of the jacket to protect you from impact injuries. The type of reinforcement depends on the jacket – some offer foam while others have slide in armor that protects more fully. In examining your plus size motorcycle jacket options look at how the armor fits. Your jacket should be snug. 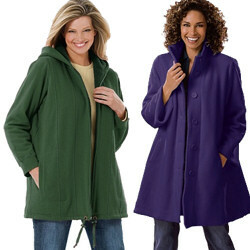 A comfortable jacket is one that’s probably too big to really protect you because it will move around. Also check for reflective features on your jacket. It’s hard enough for drivers to see a motorcycle in broad daylight, let alone on a dark country road. Reflective piping really makes a difference in visibility. Another important feature in your jacket is how well it handles weather changes. You’ll be out in the rain or heat, so you want a jacket that’s designed for wind, water and/or breathing on a hot summer day. In some cases that may mean you’ll need two plus size motorcycle jackets so they’re more specifically targeting the weather. Let’s face it, you don’t want to be cooking in black leather when its 90 degrees F. outside. That type of riding requires a jacket with vents or mesh so you get good air flow. One very nifty feature in some jackets is an all-in-one design. You can take out warm liners or waterproof features as needed. Just one zip and swap out what you most need for the day. In trying on your jacket remember that the way you sit on the bike vs. how you are standing right now is vastly different. Think about your riding stance and position yourself accordingly to see how the jacket fits then. In particular check sleeve length based on bent arms. A all-season plus size motorcycle jacket should have secure closures at the wrist, waist and neckline. When you find plus size motorcycle jackets that have all the features you want, then you can get down to the business of style. After all, part of the fun is finding the “cool” factor in your jacket – then hit the road.